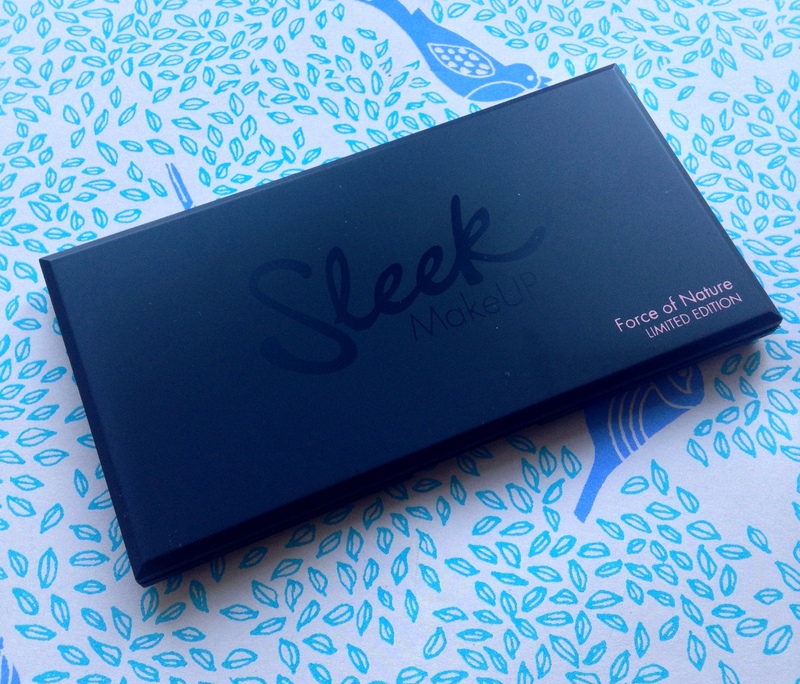 Being a Sleek fan, I felt like I needed the new limited edition Force of Nature eyeshadow palette! As with all the Sleek eyeshadow palettes, there are 12 colours, and this palette in particular as many purple and blue tones which I love. Sunrise: A cream/very light gold shadow (Hard to see on my skin). Would look beautiful in the tearducts. 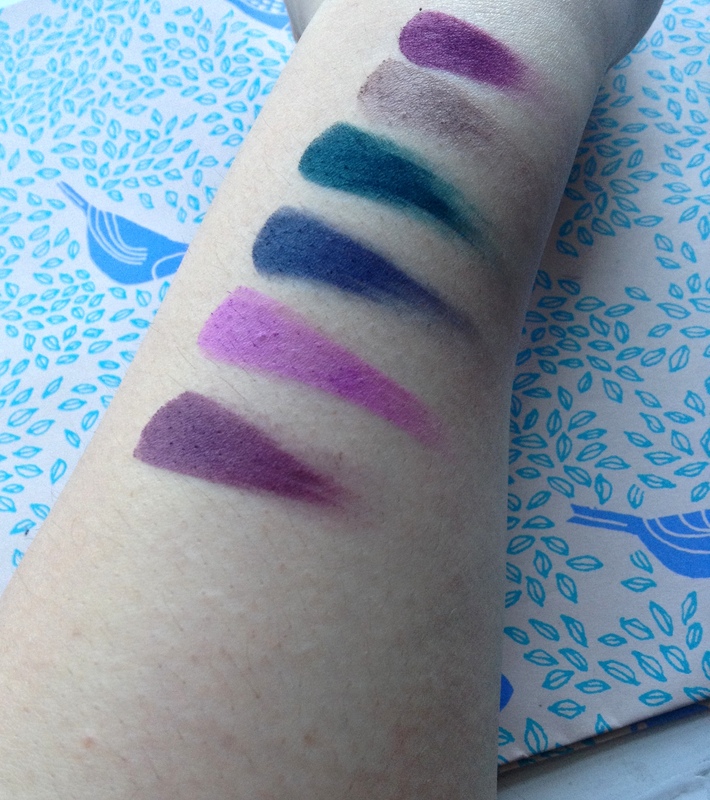 Cloudburst: Deep purple/violet shade and very pigmented. Whirlwind: Light chocolate brown colour. Would be a nice transition colour. Dawn: A grey/brown dusty colour. Could be used for blending. Mist: Darker grey/dusty tone. I would use this as a blending and transition colour. Moonbeam: An off-white shade. Perfect for blending and highlighting. Twighlight: A deep purple/brown. Would look beautiful in a smokey eye look. Lightening: A bright and vibrant lilac/purple shade and very pigmented. Thunder: Deep, dark blue. I would use this in the outer V for definition. Borealis: A deep forest green which is also very pigmented. Sandstorm: Another dusty/earthy shade which is perfect for blending. 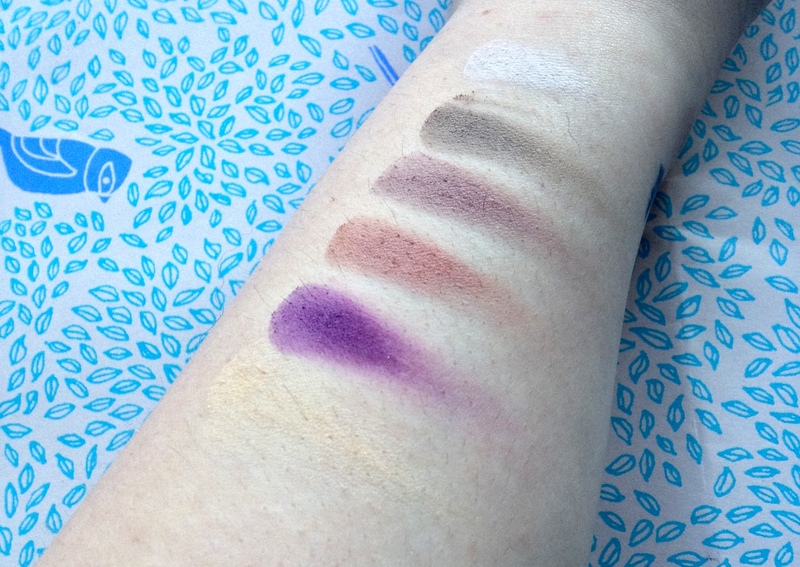 Sunset: Another purple shade which would be beautiful in the crease or outer V.
So as you can tell, this palette has a lot of earthy tones which are perfect for blending and creating smoke eye looks, but has some vibrancy from the purple and blue tones which could add some dimension and colour to a smokey look. I love doing smokey looks on my eyes as they’re a dark brown, so this palette will come in handy to make some smokey looks but with vibrancy. 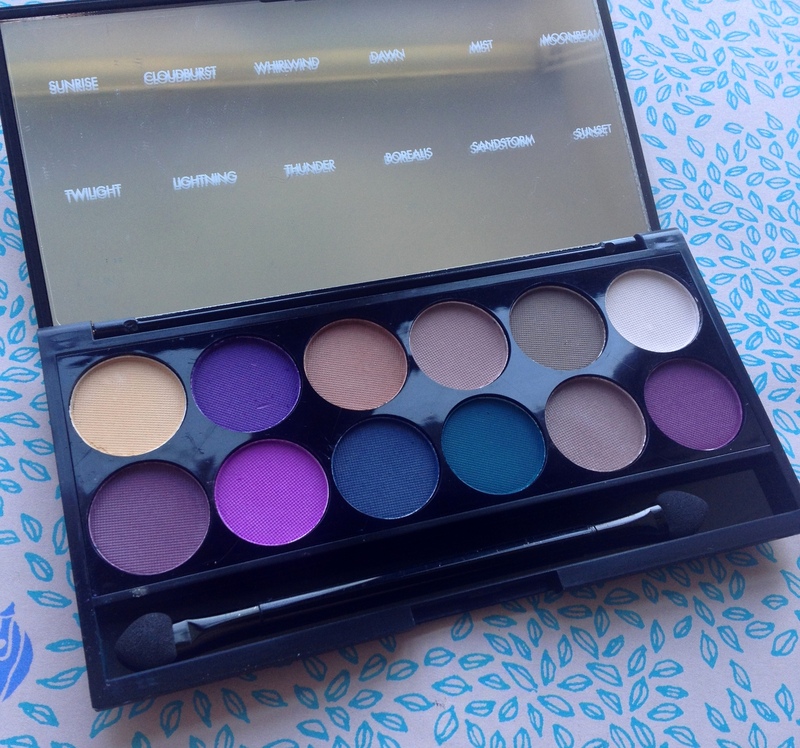 For £7.99 you get 12 shadows which are all very pigmented and long-lasting, as with all over Sleek eyeshadows. If you need a eyeshadow with earthy tones for simple looks, and some vibrant shades for vibrant looks then this palette is perfect for you, and your budget!